It’s been a battle to keep our little living space out here in rural Texas civilized. The spiders and trapping adventures have already been mentioned. You’ve probably noticed the more recent description of how the chest-high grass has been mowed. Now, guess where all the critters, that once lived nearby in chest-high grass went? That’s right, my shop. The traps went out last night and there were casualties. One trap slipped and smacked my thumb smartly and its a little sore today. However, it was worth it. This morning the number of the enemy is three smaller. 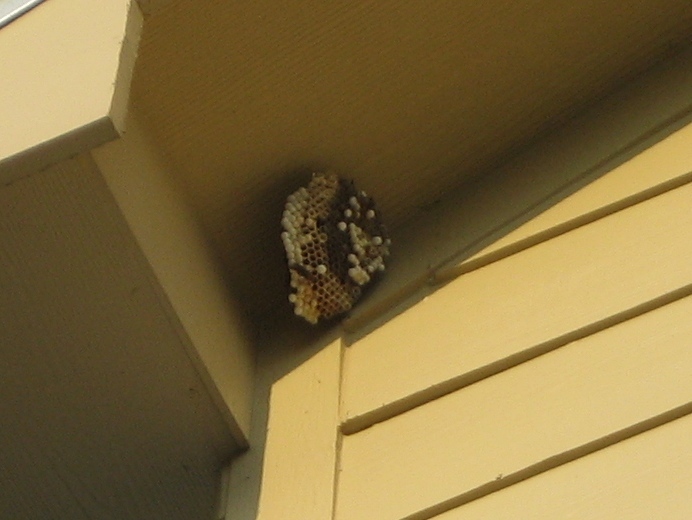 In addition to the field mice, we’ve noticed a yellow-jacket nest that was getting out of hand. The surprise attack was scheduled for sundown. After some minor logistical issues, the enemy was engaged via chemical warfare. Courage and resourcefulness was exhibited on our side because of the need to attack from atop a ladder immediately below enemy lines. Although there were extensive enemy casualties, none were reported on our side. All that remains is an unoccupied bunker. Can you get a Purple Heart for a purple thumb? I want to see a picture of a mouse. Have yet to see proof of those. 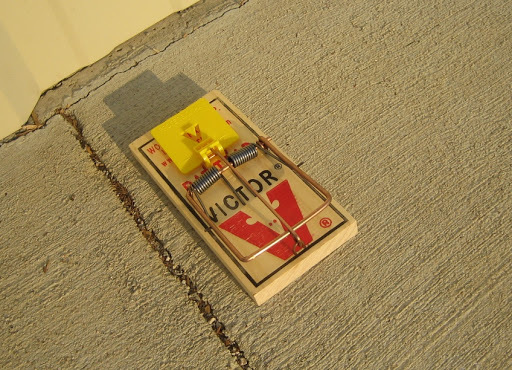 Maybe tomorrow morning I can get a photo of one being rather still for the camera…because he got too close to the trap.